If we are honest about something fundamental and incredibly important to every business, we would have to recognise that many people are not very good at working with others. Many people don't like working in a team. When you look at your workforce, it would not be an exaggeration to say that 50% of people fall into this category. They would prefer to work on their own if they could and having to work as part of a team is not something they are particularly skilful at. In fact, working in a team can be quite stressful for them. But no business can be successful if up to 50% of its people are not good at working with their colleagues. How To Team is designed to deal with this big problem. On completing How To Team, they will not only be much more knowledgeable and skilful, but also have a much better understanding of why and how people work in such a different way to them. They will have learnt different ways to communicate and will be better equipped to handle disputes and negotiate their point of view. - What is a team and what makes it so valuable? 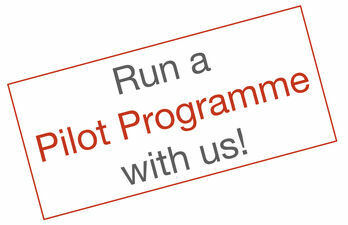 If you think that many of your people would benefit from improving their team skills, but you want to be sure of getting a great return on your investment before rolling out a full programme, then please ask us about running a pilot programme with you.